با رواج استفاده از سازه‌های بادی در معماری چند دهه اخیر و جاافتادن حضور نیروهای کششی در معماری سده اخیر هر روز باید منتظر ایده هایی نو در معماری کابلی-بادی باشیم. 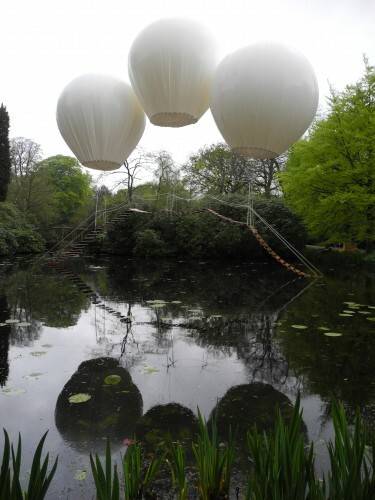 Building on a previous piece entitled “Suspension Bridge, the passage”, Olivier Grossetête’s ‘Pont de Singe’ in the UK is a model of floating bridge attached to helium balloons, thus taking literally the term “suspension bridge “. 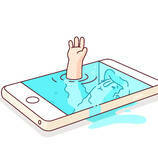 The object aims to connect two mobile spaces, questioning its usefulness. 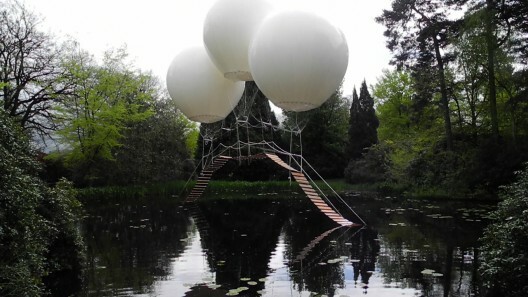 This bridge becomes a floating symbol of all relationships, and embodies the space surrounding its slight movements caused by our air movement. More images and architects’ description after the break. 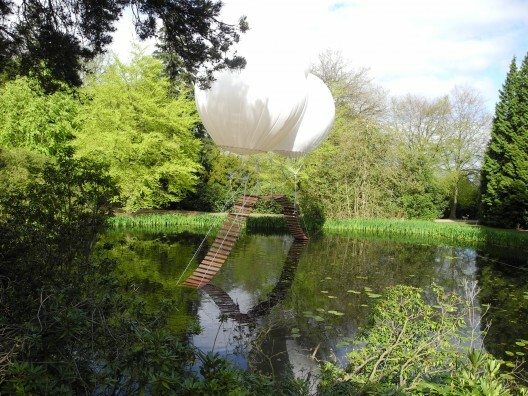 Designed for the Tatton Park Biennial, I wanted to dedicate the project to the flight. 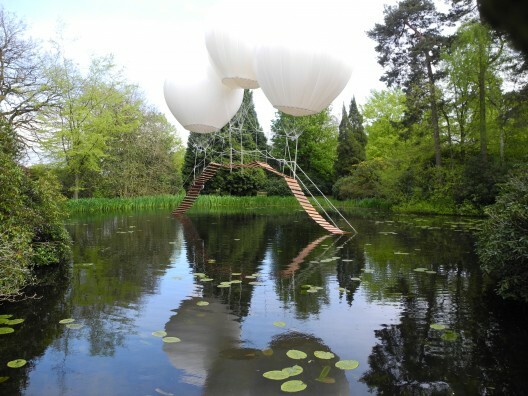 I wanted to start from the idea of “hanging bridge” for its evocative and poetic potential. So I reversed, with three large helium balloons, the curvature of a rope bridge suspended over a body of water. The bridge built to scale 1 is potentially usable. It is theoretically capable of supporting the weight of a person. Suspension bridges, the inversion graph of the force, stage, or identified, the man’s efforts to counteract gravity. Replacing the bearings by helium balloons bridge seems to abstract laws of gravity and questions our perception. Flexible cords reinforces the effect of suspension in the vacuum attachment points and gateway. These movements caused by the influence of wind on the balloons make it alive or even threatening depending on the strength of it. In addition, the ends of the bridge are placed in the water, which creates the sensation of an out fields. 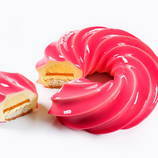 Gateway arises somehow from another dimension we offer a strange mixture between mystery and clear. The location near the Japanese garden, among the lilies, reinforces the fairy piece. تقریبا شبیه تیوپ ها بادی خودمون که رو آب میدازیم تا شناور بشه و با کابل هم مهارش کرده بودن.